Excellent performance, can be used for welding with cellulosic electrodes. Can also be used with power motor generator stabilized. Simple and easy, with digital display of preset and dual function ARC (Stick) and Tig Lift arc. Simple and easy, with Multi-functional control knob. Dual function: Lift TIG and ARC (Stick). Data storage capabilities. 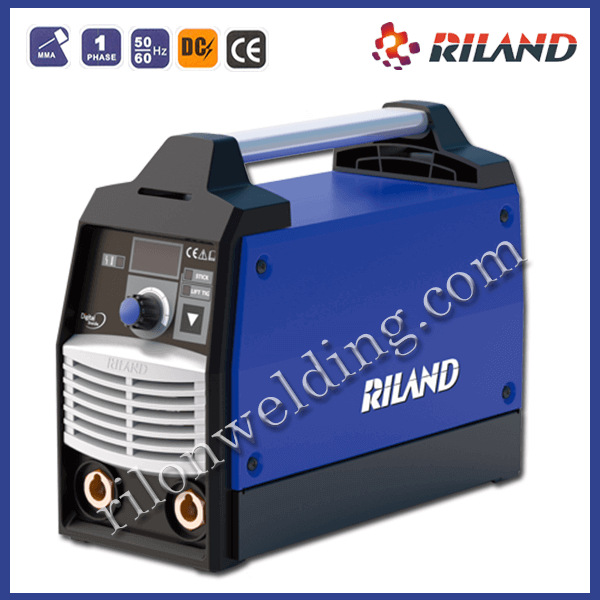 Three seconds after stopping welding, the welding current parameter will be saved automatically. It also has EMC (Electro Magnetic Compatibility) circuit in the main circuit power supply. With Lift TIG and up-slope, reduce the consumption of the tungsten rod. With over-loading and over-heating protection. Smaller, lighter and portable, this equipment is protected by a solid metal casing. Supplied complete with ARC (STICK) Welding Torch, Earth Cable and clamp.